With the Vector 3 dual-sensing system, you get the valuable ability to see right and left leg power independently. Vector 3 measures total power, cadence and left/right balance as well as advanced cycling dynamics, which help you tailor your training around your specific weaknesses and strengths to improve your form. It tracks seating/standing position to determine when and how long you were in each. 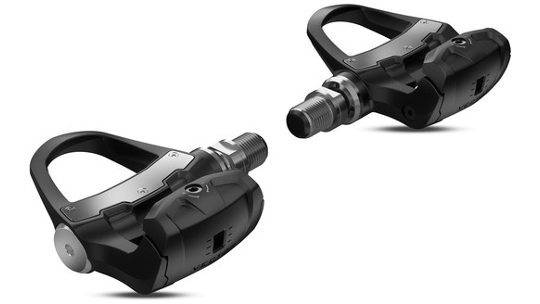 So, you can gauge position effectiveness, power phase to show how you’re currently producing power in a pedal stroke and platform centre offset to show where power is applied on the pedal so you can ensure proper cleat position. 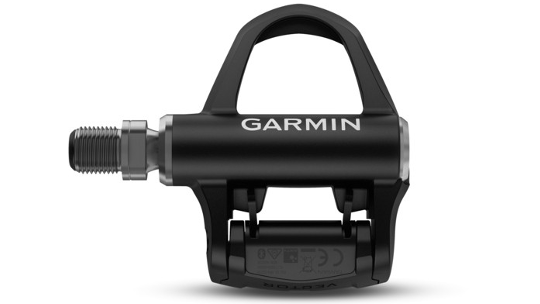 Each metric can be viewed on compatible Edge® cycling computers and Garmin Connect™ Mobile app. 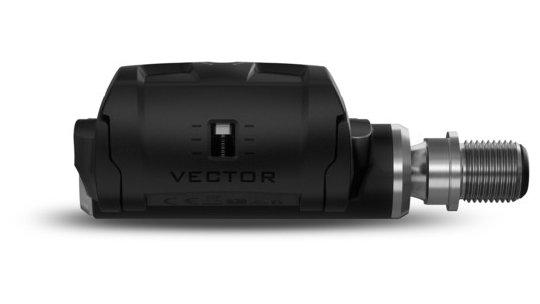 With Vector 3, there are no complex drivetrain or wheel trade-offs and no external sensors to install. There are also no pods, so Vector 3 installs like any other pedal — and it’s easy to transfer from one bike to another without bike shop assistants. Plus, its sleek design and improved stack height provide greater cornering clearance and smarter ergonomics, and its precision stainless-steel spindle and composite pedal body have been engineered and tested to withstand years of use. It offers battery life up to 120 hours. Get the most from your training by seamlessly pairing your Vector 3 with compatible Edge cycling computers, ANT+ or Bluetooth-enabled fitness devices1 — including compatible Forerunner ® and fēnix ® devices — and Garmin Connect Mobile app. Plus, you can easily update software with any of these devices. You can also integrate post-ride analysis, data sharing, mapping, route planning and more with Garmin Connect™, Strava and TrainingPeaks. And use ANT+ connectivity to get stronger by pairing Vector 3 with TrainerRoad. With the TrainerRoad app, you’ll get personally scaled indoor workouts based on power from Vector 3. The indoor training system also has training plans that tell you exactly what to do to achieve your unique fitness and race goals. It’s structured training in its most sophisticated and guided form.